This is a tree I like to visit often. 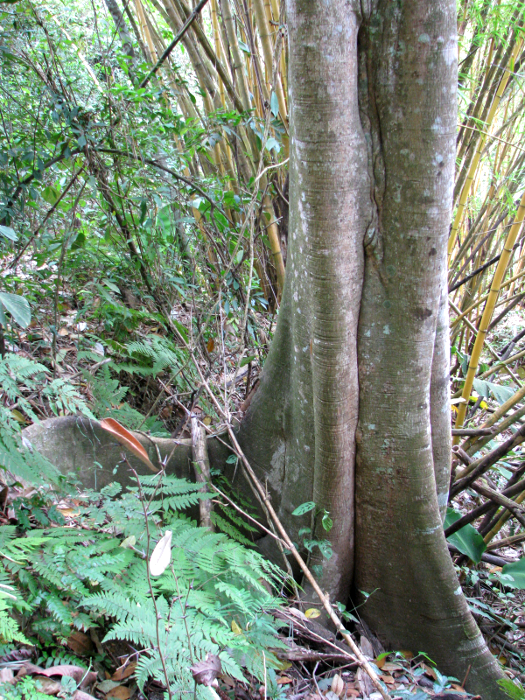 It's a huge fig tree located just above a spring in a very active part of the property that slopes down to the river. I like how the roots reach out and into the ground. I think this tree is helping to stabilize the hillside and preventing more of it from slipping into the river. The stand of bamboo behind the tree has been slowly creeping closer to the river during each rainy season.